Cape Town, Johannesburg, Pietermaritzburg, South Africa, 24 February 2015 – The Department of Environmental Affairs (DEA) has today announced its decision to approve almost all Eskom’s applications to postpone compliance with atmospheric emission standards for 14 of its coal-fired power stations . A condition of these postponements is that Eskom is required to “implement an offset programme to reduce [particulate matter] pollution in the ambient/receiving environment. A definite offset implementation plan is expected from Eskom by 31 March 2016”. As civil society organisations who work with and support many affected communities in South Africa’s pollution hotspots, we are extremely disappointed with the DEA’s decision simply to allow Eskom to continue to pollute in excess of what has been agreed as safe standards of emissions for another five years. Furthermore, the decisions themselves are slapdash, with no attempt to set strict and enforceable conditions to ensure that Eskom comes into compliance in the next five years. This shows a complete disregard for DEA’s constitutional responsibility to protect the health of South Africans. 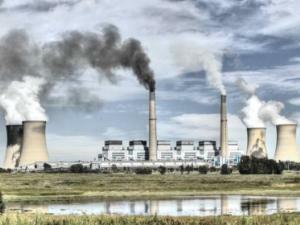 Over a period of about five years prior to 2010, the DEA, industry (including Eskom) and a few civil society organisations negotiated “minimum emission standards” (MES) for activities that have a significantly detrimental impact on human health. All such polluting industries must meet certain standards by 1 April 2015, and stricter standards by 1 April 2020. Despite knowing since 2004 that they would have to meet MES, Eskom – and about 20 other industrial facilities, largely following Eskom’s lead – applied to postpone such compliance, having failed to make the necessary investments to meet the MES. One of the main grounds on which Eskom’s postponement applications were opposed by groundWork , Earthlife Africa Johannesburg  and many community groups was that granting the postponements would violate the Constitutional right to an environmental not harmful to health or well-being . An expert who analysed these health impacts found that, if Eskom’s applications succeeded, this would result in about 20,000 premature deaths, over the remaining life of the power plants – including approximately 1,600 deaths of young children. The economic cost associated with the premature deaths, and the neurotoxic effects of mercury exposure, was estimated at 230 billion rand . responsible for 54% of deaths from air pollution-related cardiovascular diseases, compared to 16% attributable to domestic coal burning. South Africa’s current electricity crisis has forced Eskom to perform massive maintenance to its plants at huge cost to the economy. Eskom should have been forced to retrofit its plants at the same time to ensure MES compliance, and to avoid a similar situation in the future, especially because these power stations will have to work longer because of the electricity deficit. The DEA has also granted some applications to postpone compliance with MES that only apply from 2020. Although not prohibited by the legislation, we regard this as inappropriate and premature – the considerations that would influence a postponement application could be vastly different in five years’ time. Civil society groups will now evaluate the postponement decisions and speak to community organisations in affected areas to determine the possible options to challenge the decisions. In the interim, Eskom must be forced to comply with each and every term of the MES postponement conditions, with severe consequences if it fails. Priority areas are declared in terms of the Air Quality Act for areas where ambient air quality standards are being, or may be, exceeded, or any other situation exists which is causing, or may cause, a significant negative impact on air quality in the area; and the area requires specific air quality management action to rectify the situation. There are three such declared areas – the Vaal Triangle, the Highveld and the Waterberg-Bojanala Priority Areas. All of Eskom’s coal-fired power stations fall within a priority area. As pointed out in our opposition to the postponement applications, Eskom has failed to prove – as required by the Framework – that its “current and proposed air emissions are and will not cause any adverse impacts on the surrounding environment”.